Commercial Advertising LED Display is also commercial LED video wall or Advertising LED display, Those LED display are mostly used for advertising application in shopping center, mall, street side, building, media, government, train station, airport, etc. The main function of the those displays are: Arousing attention, mediating information. 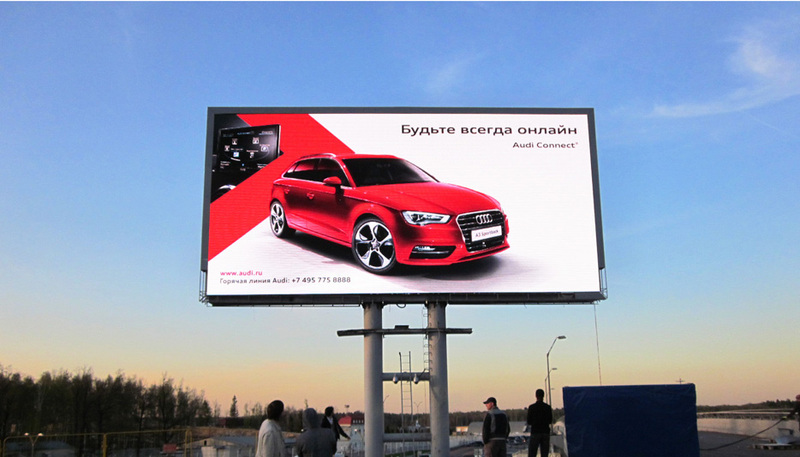 Compare to traditional LED advertising billboards, advertising LED display shows more rich informations via clear image or High definition video to viewers. Commercial Advertising LED Display can be divided into two groups according installtion place: Indoor Advertising LED Display and outdoor Advertising LED display. Unit Advertising LED Display are extremely well designed to meet variour advertising applications and extreme enviroment. They can work well 24/7 without powered off. 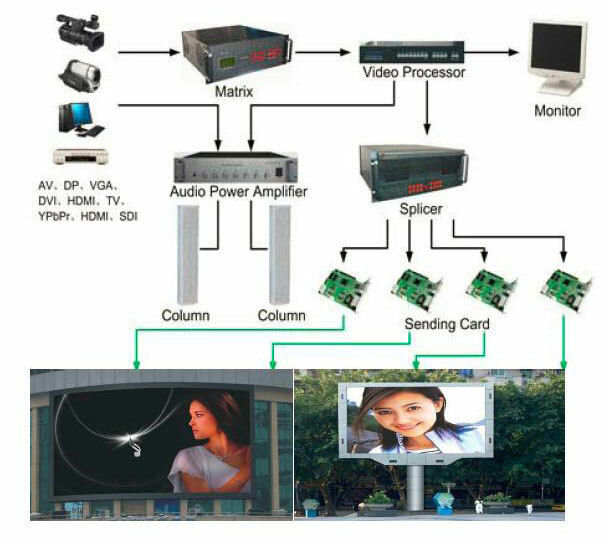 Unit Outdoor advertising LED display rangs from P3mm, P4mm, P5mm, P6mm, P6.67mm, P8mm, P10mm, P12mm, P16mm. The LED displays are designed with high brightness and IP65 waterproof features. They can delive vivid image and excellent visual experience even under strong direct sunlight. In addtion, the LED display size can be customized according to the requirement of customers. For special application limit. UNIT Outdoor advertising LED display can be designed with frontal service so customer can maintain the LED display in front of the LED screen, not only save time, but also save labor. UNIT indoor advertising LED displays are designed with high resolution, high contrast, and high refresh rate to ensure LED display offering clear image and visual effect even it is viewed in short distance. The LED displays are available in P2.5mm, P3mm, P4mm, P5mm, P6mm, P7.62mm, P10mm. The LED display dimension and shape can be user defined. In addtion, UNIT advertising LED screen can also use front maintance way to design the whloe cabinet if there is no much spare room in the indoor. Wide viewing angle to attract viewers. Solid cabinet to bear the badly circumstance and withstand hitting from objects such as stone. High brightness to offer clear images even in the stong sunlight. Energy saving to reduce the power consumption and save cost. Long life span to ensure LED display can work well more than 10 years. 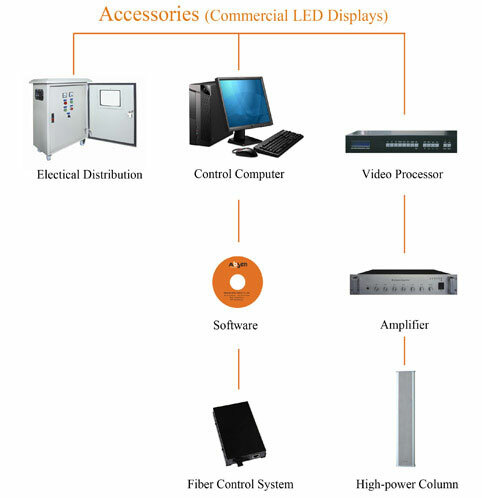 1: UNIT use high quality LED material and accessories to ensure LED display high stable, high reliable. We use 5124 Driving IC, Nationstar LED lamps, and MEANWELL power supply to improve quality through strictly control of manufacture process. High strength cabinets to ensure LED display waterproof leve is IP65 or even more IP67. 2: UNIT adapts professional control system such as LINSN, NOVASTAR to control LED display. Pixel-by-pixel brightness and color calibration technology to ensure the LED display with outstanding and uniformtiy color. With the unique latest monitoring technique the brightness, temperature and LED display working status can be easilly monitored on time. 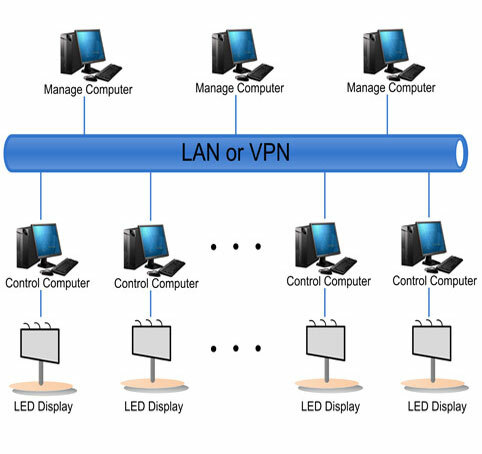 Remote network control is available to control the LED display in other cities. 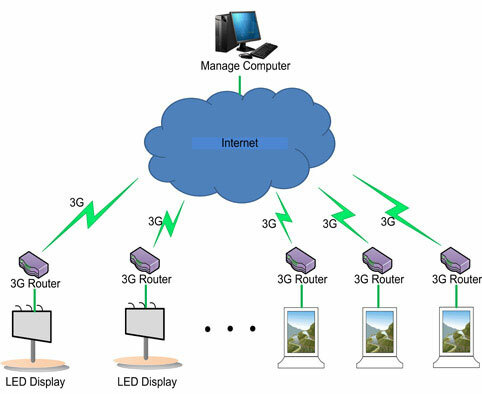 the LED display content can be changed and the power can be turned on or off via remote network. In additon, UNIT use dual backup control system to ensure the LED display can work well continually when one control system falls down for unknow reasons, the other control system can take over control.